After August Jobs Report, Will the Fed Raise Interest Rates? 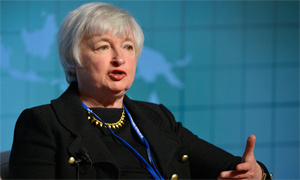 Subject: After August Jobs Report, Will the Fed Raise Interest Rates? At a press conference last December 2014, Janet Yellen explained the Fed's data-dependent commitment to raising interest rates. Updated Sept. 4: The August jobs report released this morning (Friday, Sept. 4) revealed a U.S. unemployment rate at a seven-year low. It fell to 5.1% from 5.3%. The U.S. economy added 173,000 jobs last month. However, this amount was fewer than expected. Wall Street was hoping for a jobs increase of around 217,000, according to Bloomberg. So, while an increase did indeed happen, it wasn’t what economists had hoped for. So what does all this information mean when it comes to the Fed raising interest rates? Still, workers are seeing fresh buying power because prices nationwide have been slow to rise. Overall, consumer prices have remained stable this year. This is chiefly due to falling commodity prices such as oil. For the most part, the August jobs report paints an image of the American economy on the up-and-up, albeit slowly. 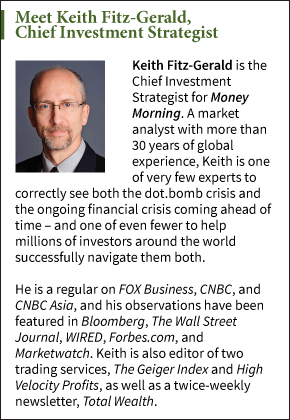 But Money Morning Chief Investment Strategist Keith Fitz-Gerald – a 33-year seasoned market analyst – has seen many times what an overly optimistic jobs report can do. So, in short, Fitz-Gerald cautions investors against following and acting upon Wall Street’s reported trends; instead, he advises them to look instead at their own environment and their own buying experiences. Step back and take a breath. The Fed has been flying by the seat of its pants since the crisis began. That makes anything they have to say suspect… especially now. Mind your risk. The last thing you want right now is to get caught by surprise if the Fed does or says something stupid (which, given their track record) is almost a foregone conclusion. When Mr. Fitz-Gerald makes a statement like, "My breakfast costs 60% more than it did a few years ago," his credibility is damaged. His precision with breakfast cost is thwarted by his lack of precision with time measurement. He should know better – being a "numbers guy."